From the gliding gondolas in Venice to the rolling hills of Tuscany, we’ve dug in deep to find you the best routes and most authentic experiences Italy has to offer. We dine in private homes, stay in mind-bendingly beautiful hotels and have even called in favours for a few surprises along the way. 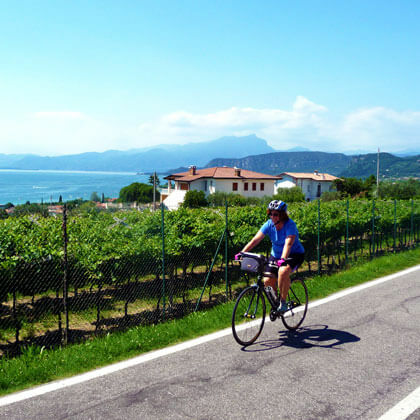 Pedal the vineyards, sample the pasta, sip the wine—all in a day’s work. 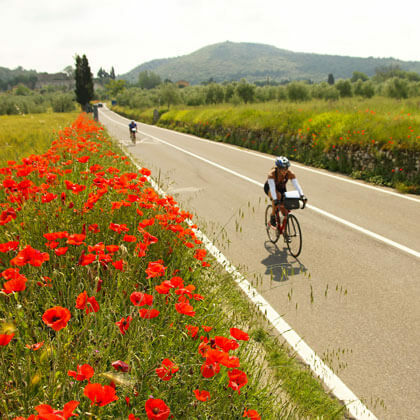 Explore one of Italy’s most beautiful and beloved regions with spectacular biking through picturesque hills. From the rustic flavours of cucina povera to the boldness of its incredible wine, you’ll fall in love with its medieval towns, seemingly endless olive groves, and above all, the warmth of its people. 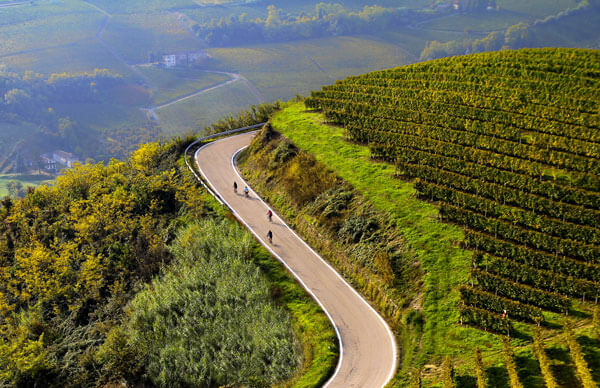 Pedal through rolling hills, secluded villages and the most prestigious vineyards in Italy on this spectacular biking trip. You’ll feel like a champion once you’ve conquered the terrain, only to discover that the challenge is worth the rewards of Barolo, Barbaresco, and hand-rolled pasta at the end of the day. 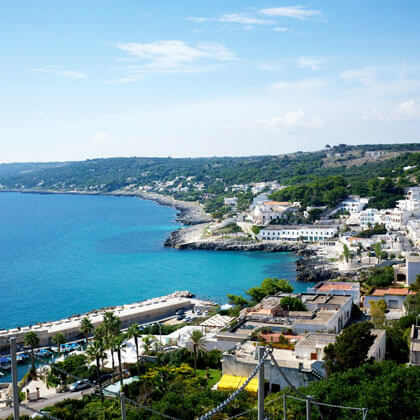 Explore Puglia’s beautiful seaside with coastal riding through sun-soaked villages and glorious secular olive groves. 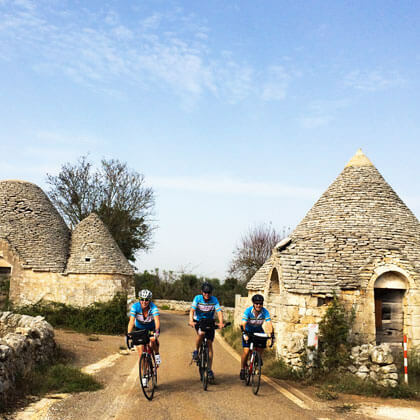 With the sea breeze to accompany you, ride amongst the mysterious conical trulli, dine in ancient castles, and lunch in olive groves. La dolce vita, indeed. Explore two gorgeous corners of this incredible region, taking in the silence of the trails, the dramatic, serrated mountain peaks dotting the scenery, and the understated local hospitality. From historic hikes, rock climbing to biking the Italian Alps, you almost won’t believe your eyes—the views are that spectacular! 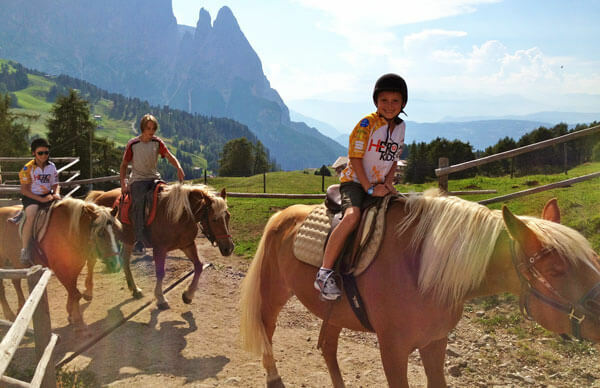 Kick off your summer in Italy’s most bambini-friendly region. 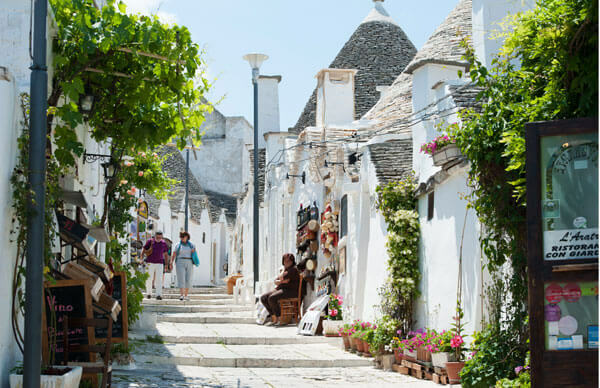 Splash in the sparkling Adriatic, float in a catamaran and explore Ostuni—Italy’s bright, white answer to Santorini. This trip is designed with young ones in mind—ziplines anyone?—and features hotels as magical for kids as they are for you. 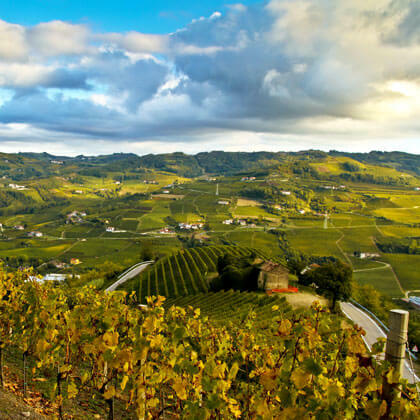 Explore this gourmand’s paradise as you ride through the beautiful and bountiful countryside of Piemonte. 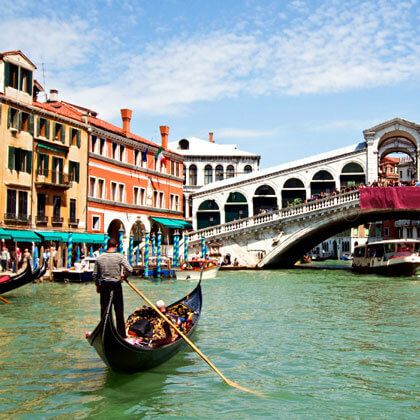 Ride from Prosecco to Venice, where the culinary adventures are as extraordinary as the scenery. Bike along coastal roads and through whitewashed villages, meet charming locals and indulge in luscious food sampled against the stunning Adriatic. 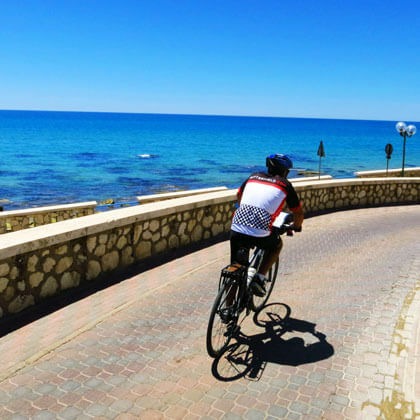 Explore Puglia the way you want to—with excellent hotels, beautiful biking routes and superb custom-fitted bicycles. 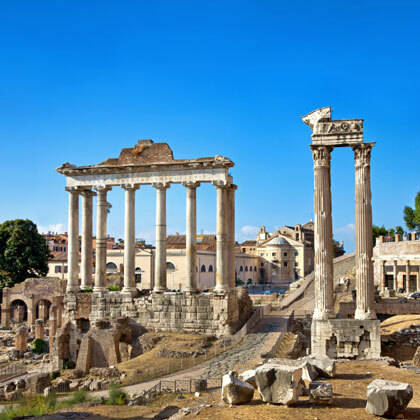 Embark on an unforgettable family vacation to the remarkable Eternal City and the tranquil seaside landscape of charming Puglia. 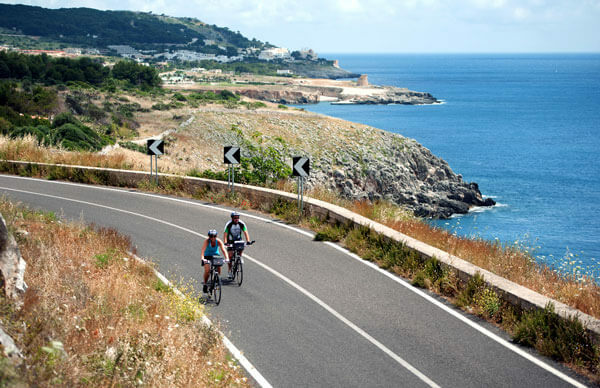 Bike across southern Sicily admiring the island’s rich culture, savouring fresh seafood and handmade pasta, and enjoying remarkable wine. 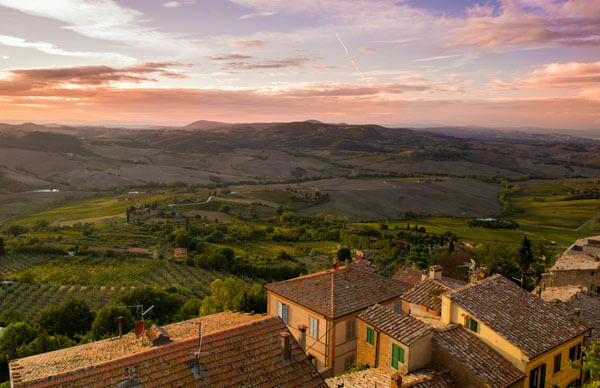 The choices are yours on this Tuscany experience through one of Italy’s most beautiful and beloved regions. Follow an ancient route, pedalling flat farmland and riverside paths from Verona to Mantua to Venice.